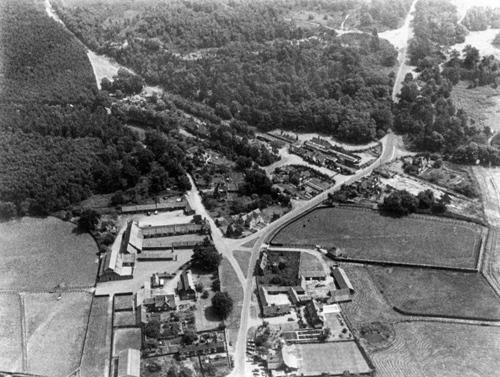 The above photo is an aerial shot of the Station showing the buildings and driveways. National agents, Strutt & Parker have pleasure in announcing the sale of The Royal Station at Wolferton, on the Sandringham Estate, by public auction on Thursday 28th June 2001 at their London Office, 37 Davies Street Wl. This is an extremely rare opportunity to purchase this unique Station with a priceless history. The station, described by Sir John Betjeman as “different from all other stations in England”, dates from the Victorian era and is of Tudoresque appearance of brick dressings, half timbered with rendered panels under a plain tiled roof. Its unique history and occupants have lead to a Grade II* listing to protect its many fascinating features. 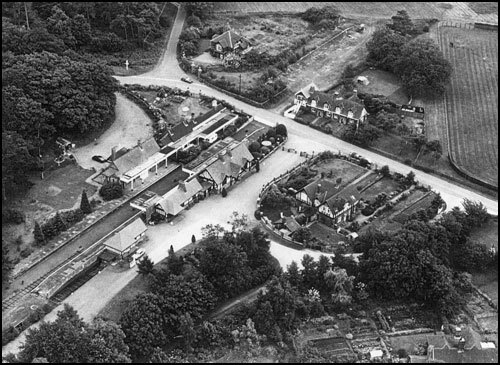 The Lynn to Hunstanton line opened in 1862, the same year that The Prince of Wales purchased the Sandringham Estate. 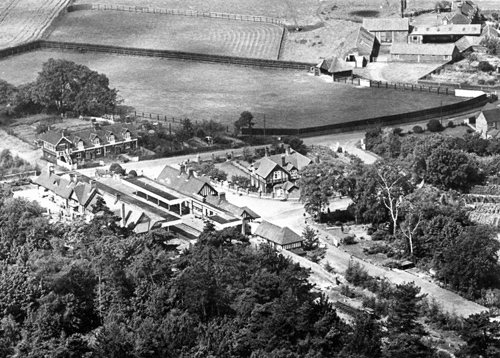 It was at Wolferton Station that Prince Edward (to become King Edward VII) alighted with his bride, Princess Alexandra, on their way to Sandringham following their marriage in Windsor in 1863. In fact, Mr H I Saward, station master, records that no less than 645 royal trains passed through the station during the first 27 years of his appointment. The station was rebuilt, under the guidance of W N Ashbee (architect for The Great Eastern Railway) in 1898 to create a suite of Royal reception and retiring rooms. The Royal family and their esteemed guests waited, when travelling to Sandringham, for their luggage to be transported to the Royal Residence.Gentlemen would have a drink and a smoke in King Edward’s room, while the ladies would take tea in Queen Alexandra’s room, or, possibly, her garden.